It's a nice pentagram, which usually indicates something important. And the number value for these words is "1014". So, this might indicate that this "Leibniz Calculus", whatever it is, has great potential. This is Syntech, and the song is called "ByT&E", from the album "By Trial and Error". Today is the 14th of April, and that is my birthday. Which means that my current physical body is now 28 years old. I'm becoming more "middle aged" by every passing day, without any hopes of getting younger. A few years more, and I'll turn 30. Although it seems that this day is mainly full of catastrophes. Also Abraham Lincoln was assassinated, Sputnik 2 fell from orbit, a cargo ship exploded in Bombay, hailstones, dust storms, and some other things. Oh well. But let's not fall into depression. Also the Numegalogy software was updated to version 1.1. I have updated the links in the Download section. The new version corrects some bugs and adds some new things. Who could have imagined some 30 years ago that this would actually happen someday? Videogaming has become an academic subject. It is now officially respected. So, you know what this means folks? Because I have played videogames since the beginning of gaming history, from the 80'ties to the 90'ties, and then all the way up to the modern 2000+ era. I have seen it all folks. A massive database of different games exists in my head. I have virtually played every game ever made. I have learned advanced skills such as "full screen focus", "turbo fingers" and "I knew it". But instead of being a hopeless nerd, I'm actually a life long scholar of higher science. So instead, I shall call myself a "video game philosopher". "M" is the name, "484" the game. Firstly, as some of you may already know, we have finally made the decision to offer the Numegalogy software program for free after all. The original plan was to sell it, but this plan has been changed for various reasons. That is the full unlimited version (V1.0), which has all features activated. Also this version comes with a PDF-manual/documentation, which the old "lite"-version didn't have. So, I hope you enjoy the program. And spread the word about it to all you know. Absolutely everything that exists can be broken down into colorful squares with numbers floating on top of them. Why don't they start offering classes like "Fighting the Elite" instead? "... in order to become any more intelligent the human brain would need vast amounts of extra energy and oxygen – and we simply cannot provide it"
But yet a small percentage of humans is vastly more intelligent than the majority. One might wonder where they get that extra energy to support their intelligence? This of course brings into one's mind: It is a "public secret", that some people feel an "electrical feeling" on their foreheads, in the so called "third eye". And according to various new age "mumbo jumbo", this third eye is a portal through which we draw energy to our brains...and of course the "crown chakra" + other things act in this way too. So what this means, is that some people have a higher "energy capacity", which allows them to become more intelligent than the others. Most of the "super intelligent people" in history have of course been these special people; they were the great philosophers and scientists. How else could it be? Could you imagine the average "shoppers" achieving the same things that Pythagoras or Einstein did? Of course not. They're simply too stupid for that...they're like zombies, automatically wandering around from day to day, having abandoned all higher ambitions...so they were made by the education system. So if the universities now offer zombie fighting classes, maybe that isn't such a bad idea after all, since we are actually surrounded by zombies. 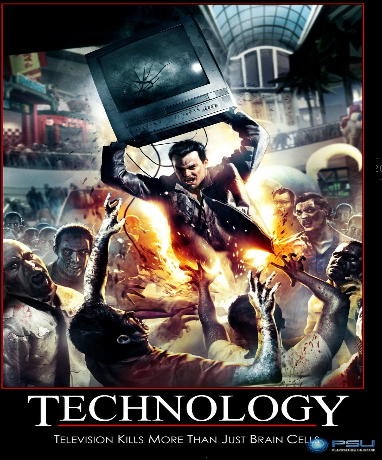 But why go to a zombie fighting university class, if you can learn the same things by playing a good videogame? A great game concept, and well executed too. Cheers and respect to the guy who made it. It's a nice space adventure game set in the Wing Commander:Privateer universe. The graphics are entirely made by using ASCII characters (like letters and numbers), which look really cool. A minimalistic artistic masterpiece, with a surprisingly deep "free roaming" gameplay. The production of the famous Sisu pastilles will end here. Instead of Finland, the pastilles will now on be made in Italy. That pastille brand is very famous here in Finland, because it's named after the concept of "sisu". "The literal meaning is equivalent in English to "having guts", and the word derives from sisus, which means something inner or interior. However sisu is defined by a long-term element in it; it is not momentary courage, but the ability to sustain an action against the odds. Deciding on a course of action and then sticking to that decision against repeated failures is sisu." "Sisu" is an attribute that all Finns are supposed to have. Why should a "national product" be made outside Finland? The corporations ( = the people who own those corporations ) control the economy, and not the state. This is true for every country, and not for just Finland. So what is the point of all those government promises "to create more jobs", if the bottom line is that it can't keep those jobs in the country? And if the government can't control something this fundamental, then does it really have any true power at all? Here are some interesting old TV commercials, which all seem to have some references to the 9/11 attacks. Stop at 0:17 ; there's a plane picture. And Stop at 0:28 ; there are two sacks of cash, which resemble the twin towers a lot. And in the end the guy says "I saw that". Now, a lot of people seem to think that these references are proof that the 911 attacks were an "inside job", and that "our masters" are playing mind games with us by telling us in advance what is going to happen...But I think that in most cases that's not true. We just knew in our collective subconscious about what was going to happen, and this "knowing" then got transferred into these commercials, and into other places too. For example I myself remember making two prophetic drawings in an art class back in 1999 or something, the other one showed a burning skyscraper, and the other one showed falling buildings, and when I many years later took a look at them, I instantly thought that "hey, did I kinda predict 911 here?". And yes, in a way I did, but of course I didn't have "inside knowledge" or anything like that, I just drawed what "came into my mind", and the result was a half-prophetic prediction. The same more or less goes for these commercials I think. So yes, they are prophetic, but the people who made them really didn't know what was going to happen. Or to be more accurate: they knew it in their subconscious, but not in a conscious level. So maybe they actually knew. It's actually a pink colored condom. Now, download my games, and go "play them at the bell". 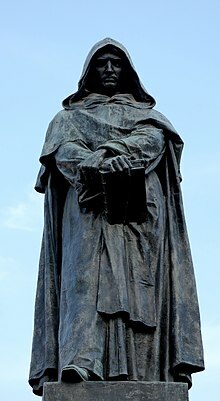 February the 17th 1600 was the date when a philosopher/mathematician called Giordano Bruno was burned at the stake by the Catholic Church. The reason for his execution was "heresy" as usual. His ideas and teachings threatened the "christian faith", so the church simply killed him. Problem solved.
" His cosmological theories went beyond the Copernican model in proposing that the Sun was essentially a star, and moreover, that the universe contained an infinite number of inhabited worlds populated by other intelligent beings. " This was also one of the reasons why he was executed, because "claiming the existence of a plurality of worlds and their eternity" was one of the many charges made against him. So believing that other worlds existed in addition to the one where we live could get you killed back in the 600'ties. Why is that, one might wonder? Well, the Bible says that God made only one world, and not more. So believing otherwise was a heresy. Because the church of course feared, that should it be proven that "other worlds" existed beyond Earth, then that might mean that maybe some other God made them, and not their God, and then the church would lose it's credibility. Or maybe there was no God at all, but instead just a scientific process of some kind, which made it all...So better just kill the man, and hope that everyone forgets what he just said, eh? But it seems that eventually the "heretic ideas" won, because today we have scientific proof that other worlds exist. And that Sun is a star. And that the Earth travels around the Sun, and not vice versa. And many other things. But what makes this story so important, is that the Catholic church was a leading authority of the whole humanity back then. Although it's influence was mostly restricted to Europe. But still, it was one of the most powerful organizations on Earth back then. And it continues to be just that even today. But if you take a look at how the Catholic Church "led" humanity, you'll soon notice that they tried to hinder the progress of humanity, instead of advancing it. They wanted us all to be obedient "believers", and nothing more. Science was in many cases a threat to them and their religion, as was free speech, free art, and all other "free things" in general. Because Christianity isn't a religion of freedom or knowledge. Instead it's a religion of mental slavery and stupidity. The Genesis story tells it all: Adam and Eve weren't supposed to eat from the "tree of knowledge" located in front of them. And when they did, God punished them. The message? You should be stupid, and stay that way. That is the FIRST TEACHING given to us in the Bible. So no wonder that the vast majority of western people are stupid; Christianity is our number one religion. Yes, still it is, even after all these years. How is it possible that a "donk religion" like this can survive in the year 2012? The Bible promotes human sacrifice, and says that gays should be killed. Why don't we ban this book? The legal reasons to do this already are there...But of course, God wouldn't like it if we banned his "holy book", would he? And that is the reason why almost nobody demands it to be banned: We are afraid of God's punishment. Because if we dared to ban the Bible, then we would be sent to hell, just like all Dungeons & Dragons players. A great disco tune from the year 1984. I was born at 1984. A great year to be born. Surely, this is some Illuminati disco music. "Holy social lead the world"
"Enlight the light of men"